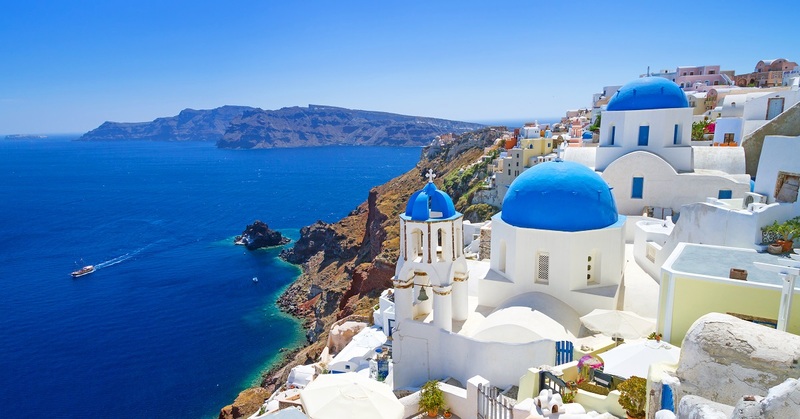 Approximately 120 miles south of the Greek mainland, Santorini is the largest island in an archipelago of the same name and home to 15,000 odd residents. 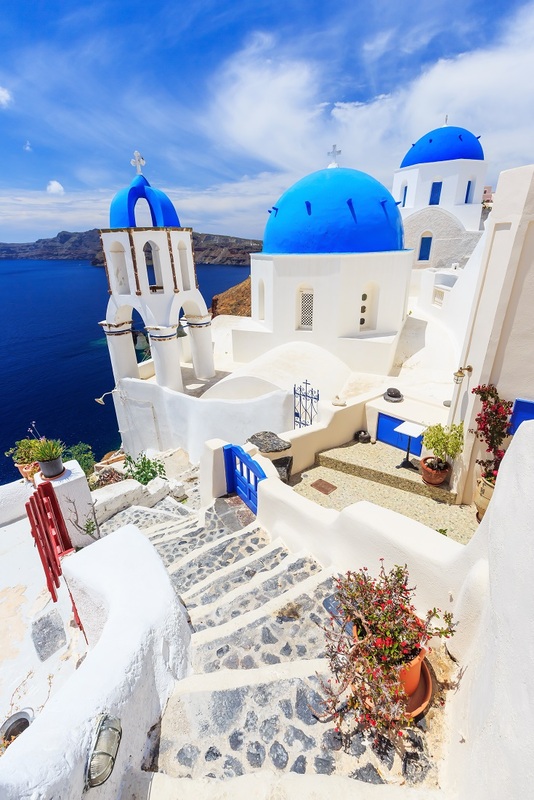 Santorini is one of the few places in Europe with a true hot desert climate. As a result, it bears unique agricultural products that rely on the hot weather and scant amounts of water. They include a cucumber which ripens to yellow and tastes like melon, sweet and flavorful cherry tomatoes, a white eggplant which can be eaten raw and a legume variety called Lathyrus clymenum. Tourism is the main driver of the economy and that makes your visit delightful! What Should I Do in Santorini, Greece? You can sip wine while watching glorious Mediterranean sunsets. You could watch a sunset from one the highest places on the island, Profitis Ilias (Pyrgos). You could watch a sunset from on board a sail boat. You could watch a sunset each night from a different location, in fact. The island has been inhabited for thousands of years, providing a great historical depth for museums, architecture and culture. There are nearly a dozen museums to choose from. My vote is for the Wine Museum which includes a 300 meter long wine cave, but that may not be your choice. Perhaps your interest lies in the Museum of Prehistoric Thira, or the Naval Maritime Museum? Wander the streets of any of the towns and enjoy the architecture. There are several domed churches, in a style very different from western Europe, featuring smooth exteriors and bright white walls. Several include bell towers. Beyond churches, there are five fortified settlements in various states of repair. They are known as ‘Goulas,’ which means tower. The depths of the Mediterranean are home to gorgeous under water life. Take a scuba diving trip into the caldera, which is the crescent-shaped bay next to the island, formed by an ancient volcano. Dine to your heart’s content, thanks to the abundance of world-class chefs in Santorini. Fresh seafood, delicious produce and regional specialities await your taste buds and there are new flavours to choose from every day. Tavernas, tiny restaurants, cafes and bars abound, serving up salads, watermelons, strong coffee, pastries, and of course, the local wine. Taverns are generally cheaper than restaurants and offer a shorter menu. If pure relaxation is your vacation ideal, consider visiting one of the many spas available on the island. From luxury spa hotels to day spas, a whole world of treatments awaits you. If the blue skies, sunshine and stunning vistas are all your heart desires, Santorini, Greece offers them up in spades.